Aerial Video Australia provides quality aerial film footage anywhere in Australia. We use ultra light aircraft to shoot high definition video at a fraction of the cost of helicopter based platforms. As well as filming air to ground landscapes and activity, we can also video other aircraft air to air. We have expertise in mounting miniature cameras on aircraft and other moving vehicles. The video below shows a range of the type of footage we can shoot for your next program. We can also provide satelite animations. 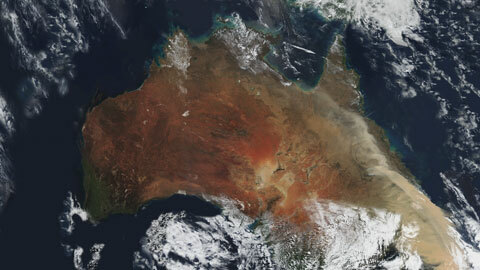 The one in the video below was of the Australian east coast dust storms in 2009. The shots in this video have not had any post production stabilization (which dramatically reduces the camera picture resolution).